For those of you who know me, or seen my pictures you may or may not have noticed my eyes. What about my eyes? I wear coloured lenses all the time! Well except when I'm sleeping or lazing at home, but when I go out I'm always wearing coloured lenses. I have been wearing FreshLook for a few years now and although some colours may be repetitive every one to three months, I still love them! The colours that I usually wear are Sterling Grey, Grey, Blue (my main 3 colours) but recently I wanted to try something different and discovered Turquoise and Pure Hazel. I'm loving the two new colours that I have tried and am so excited to try even more colours! I've tried some of the other colours as well but they didn't impress me as much. If Mr Lens does not sound familiar to you, they are actually an e-commerce site that provides quality and reputable contact lenses brands such as Freshlook, Acuvue, Focus Dailies & Softens; and available for daily, weekly, monthly, or coloured. Price wise they are as affordable as what you can get in retail outlets, in fact some brands slighter cheaper. What about postage fees? If you are from Klang Valley, you will receive free shipping! I'm very happy about this because well now I can buy my contact lenses online and not worried about shipping fees. As my title states, I would like to share with you ways to earn some money while wearing your favourite contact lenses, the Affiliate Program. 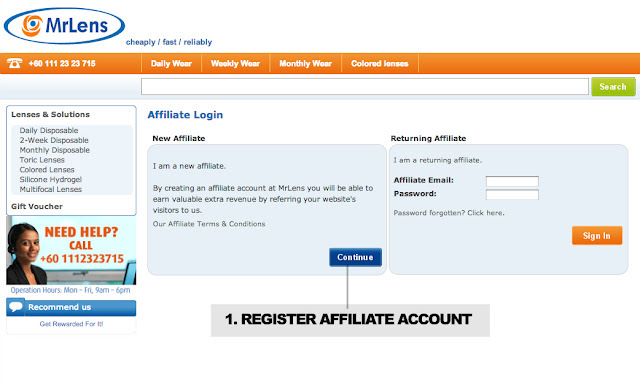 Why do I even bother joining this affiliate program? 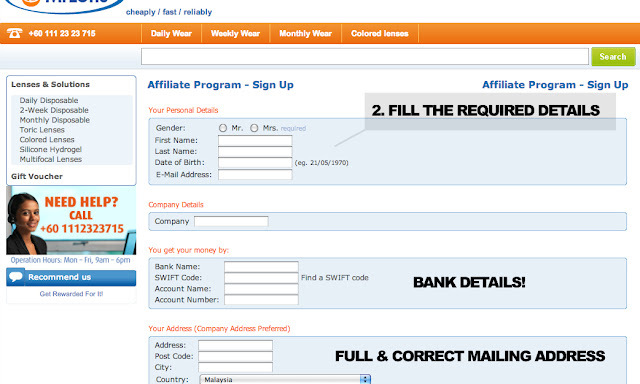 First off, you can start earning some cash on your blog and website, or even e-mail. Extra pocket money won't hurt anybody. What you will need to do is put ad banners on your blog/website which will direct them to MrLens.com.my. 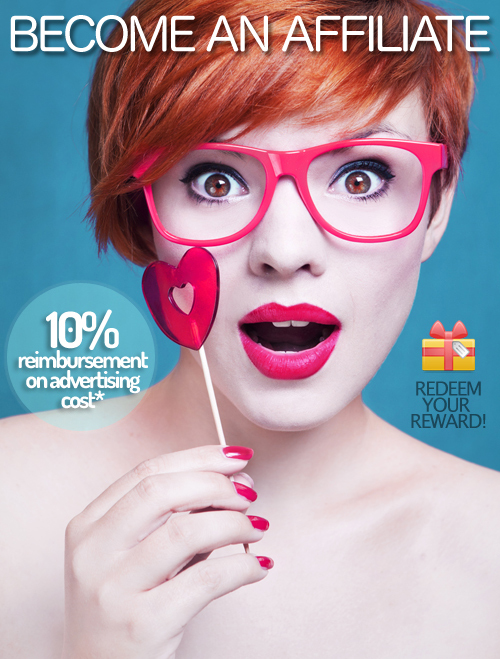 If your readers make a purchase, you will get 10% reimbursement of advertising costs! You will need to register an affiliate account at MrLens.com.my and you can also check your account to see how much you have earned. For more info please read MrLens Affiliate Information. What's a swift code? This is a swift code. Look for your bank and location, then use the swift code provided. Choose your banner and copy the code given. [For Blogger.com] Go to your "Layout" and click on "Add a gadget", choose "add HTML" and paste the HTML code there. Once you're done with that you may choose where you want to set the banner by moving it around at the "layout" section. You may refer to the top of my blog and the bottom to see the banners. FYI MrLens will be giving away 2 boxes of Freshlook Colorblends (worth RM180) to every blogger who becomes an affiliate & blog about it. a camera lucky draw at the end of the campaign for a lucky blogger!